I recently sat down with Lisa Wentz, founder of the San Francisco Voice Center and coach for public speaking and accent reduction to discuss her work. 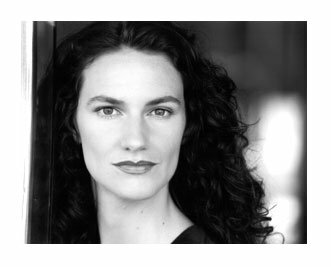 Lisa is trained in the theatre and studied in San Francisco and at London’s Central School of Speech and Drama. After watching the impressive DNC speeches I reached out to Lisa to ask her what makes a great public speaker and how a speaker might deal with nervousness and stage fright, and what one can do to work through these as a performer. LA: What sets you apart from other speech coaches? LW: I work from the internal to external as opposed to giving people tips on pausing, hand gestures and external shaping right away. LA: How do you mean ‘internal’? LW: I start with the tension patterns the speaker carries and eradicate them so the speaker can be heard fluidly and gracefully. We work on posture, breath, alignment and identifying ‘triggers’ that may make the speaker nervous, lose track of what they are delivering, or interfere with their ability to be present and enjoy themselves while speaking to an audience. LA: Can you give an example of a trigger? LW: Sure, for some people it could be as simple as seeing an audience member looking bored. Or they perceive them as bored…then they begin to panic and self-criticize pulling their focus off their topic and onto themselves. LA: How would you address this? LW: I would advise my client to smile at the audience member, or acknowledge them in some way. To try to remember the audience is not your enemy. They are there because they want to hear you. Then I would advise my client to look around the room acknowledging other people and objects to help keep them present and focused. LA: What qualities do you think make a great public speaker? LW: The physicality of the speaker should be without excess tension. Tension is wasted energy that gets in our way and blocks our ability to connect with our audience. A great speaker focuses on content not on themselves…in other words whether the audience likes them or not…that simply does not matter to them. What does matter is that they are heard loudly and clearly and that the audience understands them. You cannot control what others think of you but you can control whether or not you deliver your message in a clear, concise and meaningful way. LA: Can you give examples of this? LW: Sure, MLk’s speeches, clearly he did not care whether he was liked or not, his message was bigger than that…bigger than all of us quite frankly… same with JFK’s inaugural address. For a more recent example Bill Clinton’s DNC address last month was outstanding. Not just because his speech was intelligent, clear, concise, and delivered with approachable eloquence but because he enjoyed it so much. This is something that actors learn right away in their training…whatever you feel (as the character) the audience feels to some degree. If you enjoy speaking the audience will enjoy it too. And very few people enjoy public speaking more than Bill Clinton. LA: What kind of clients do you like to work with? LW: I enjoy working with people from all sorts of backgrounds. I like coaching speeches, presentations, accent reduction, and working with actors…I really find every aspect of my field fascinating. This entry was posted in classes/workshops, Interviews, theatre and tagged classes, public speaking, San Francisco Voice Center, voice. Bookmark the permalink.